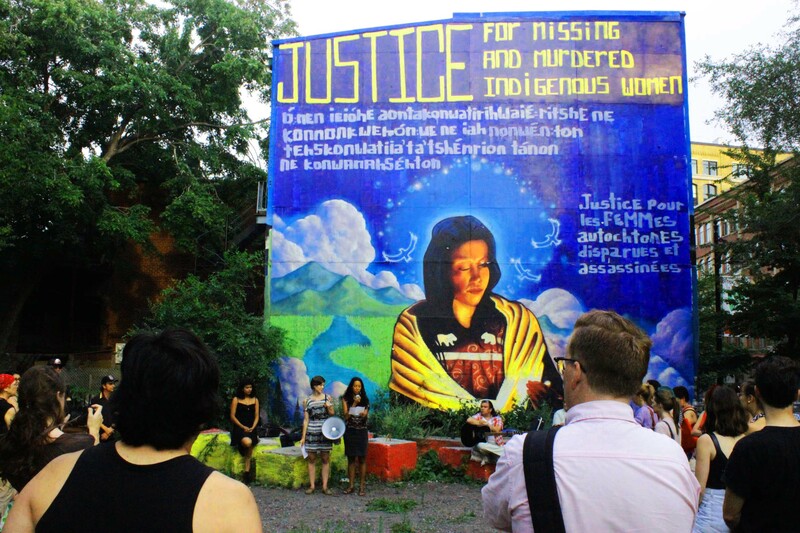 This Saturday, July 19th, The Missing Justice collective and The Centre for Gender Advocacy hosted an event to celebrate the completion of a new public mural on Saint Laurent on the wall of the anarchist bookstore L’insoumise. 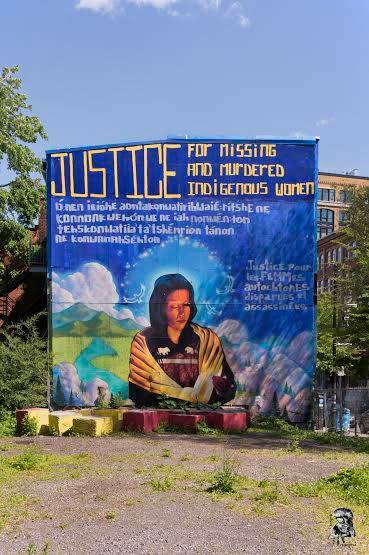 The mural denounces the injustice against indigenous women and honours the lives of all the indigenous women who have gone missing or been murdered. The evening was full of prayer, music, speeches and a beautiful hoop dance. CKUT’s Jehane Yazami and Alice Dutrut were there.